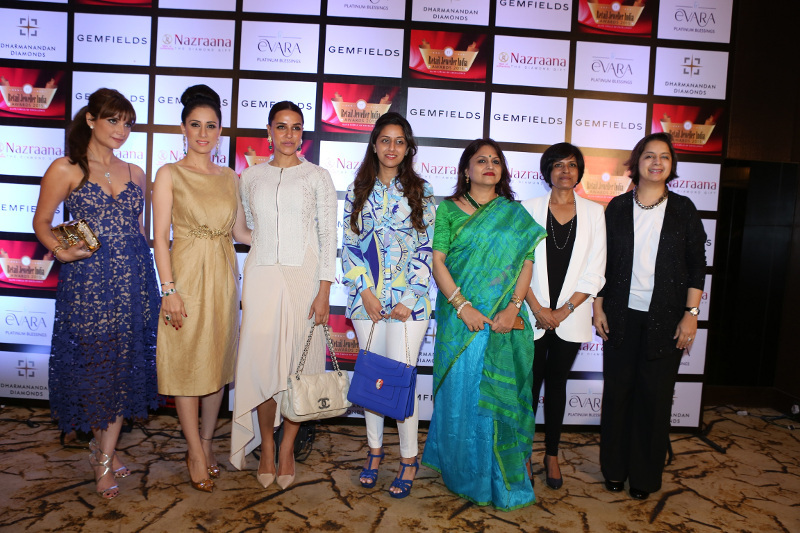 The 11th Annual Gemfields and Nazraana Retail Jeweller India Awards 2015 - An Elite Circle of Excellence, also known as the Oscars of the jewellery industry, held its GRAND JURY MEET showcasing India’s top 200 nominated jewellery creations at Jade Ballroom, Sahara Star, Mumbai. 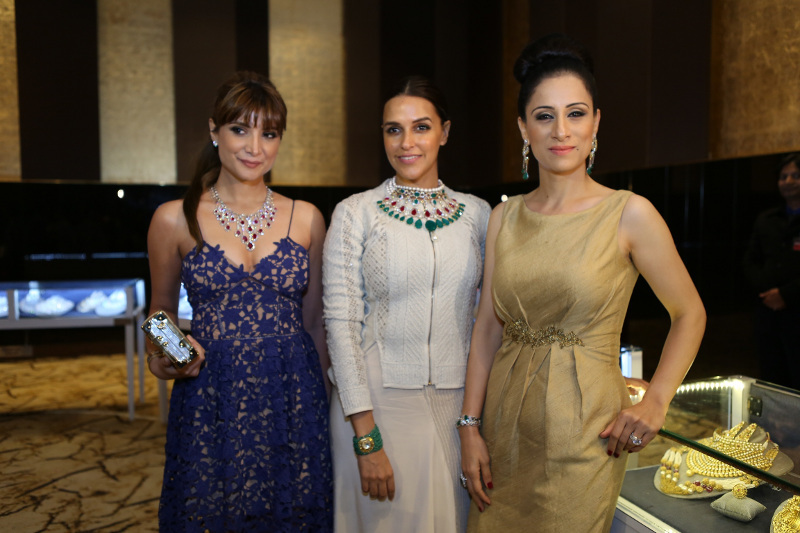 The ‘Grand Jury meet’ is a distinctive event that showcases top rated unique, creative and innovative designs from some of the most reputable jewellery houses across the country. After two rigorous rounds of selection over 200 world class-precious jewellery designs across 12 categories including 4 vivah and 8 non-vivah jewellery categories have come in from across India. The pieces displayed at the ‘Grand Jury Meet’ have been screened through a rigorous 2-tier selection process that includes initial screening (for adherence to entry guidelines) by IMRB, process auditors for the awards, followed by an online judging by the jury. 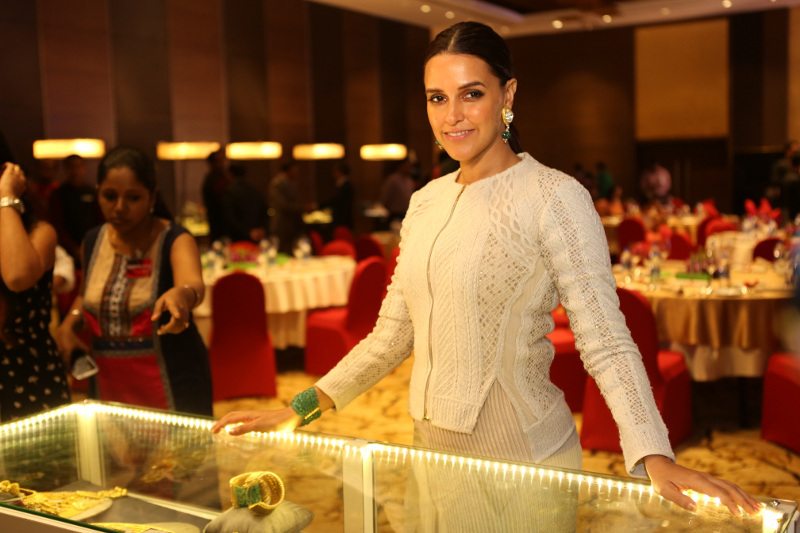 The Jury Panel included Neha Dhupia (Actress), Michelle Poonawalla (Director, Poonawalla Group of Engineering Companies), Rouble Nagi (Artist Muralist), Ananya Banerjee (Artist), Vaishali Banerjee (Managing Director, Platinum Guild India), Shazia Khan (Vice President & Strategic Planning Director, JWT), Radha Kapoor (Founder & Executive Director, Indian School of Design and Innovation (ISDI) and Ashit Kukian (President & COO, Radio City 91.1 FM).